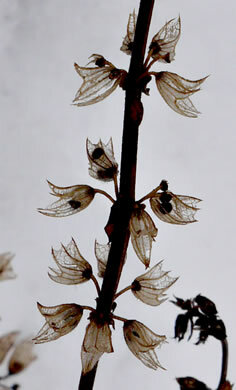 Calyx 7-10mm long; mericarps 2-2.3mm long, per Vascular Flora of the Carolinas. 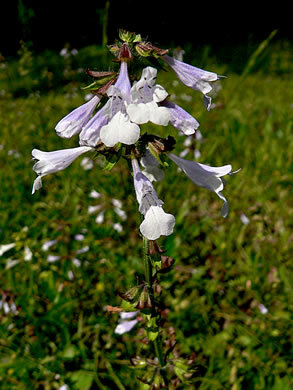 Terminal raceme 4-12" long; flower clusters widely separated, per Wildflowers of Tennessee. 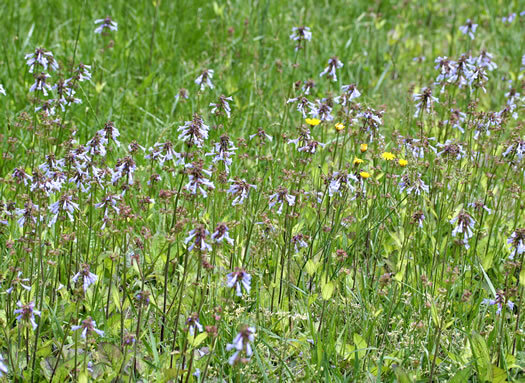 Corolla about 1" long, usually 6 flowers per node, per Wildflowers of Tennessee. 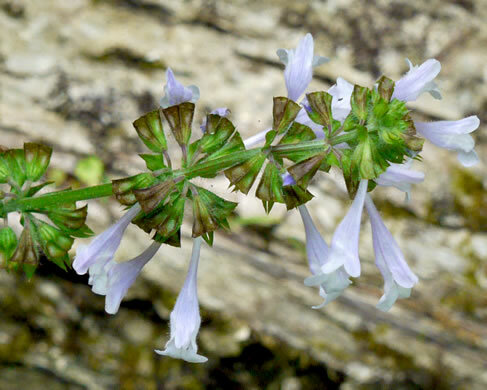 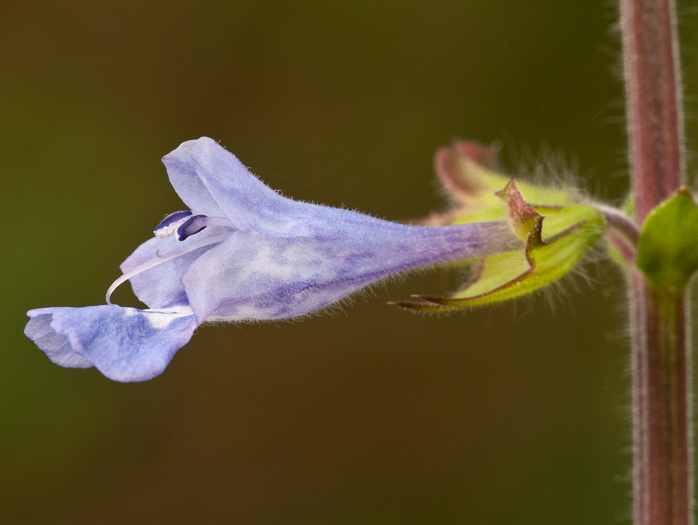 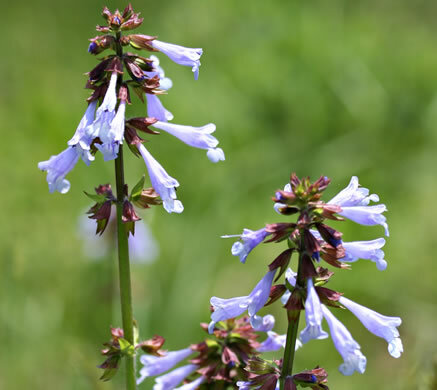 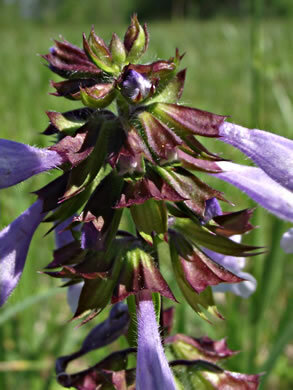 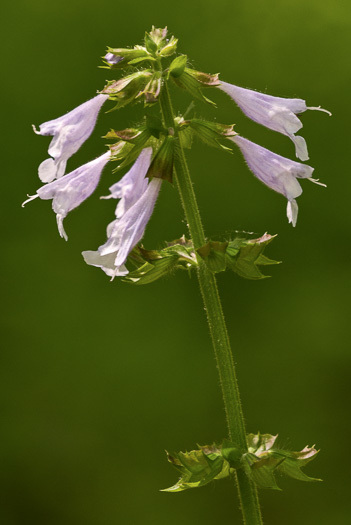 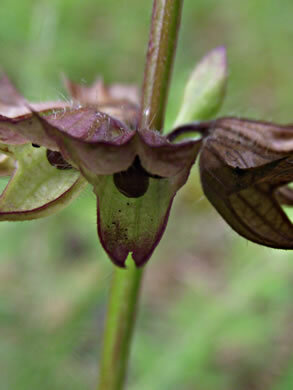 A tubular 2-lipped corolla, upper lip shorter than the broad lower lip, per Wildflowers of Tennessee, the Ohio Valley, and the Southern Appalachians. 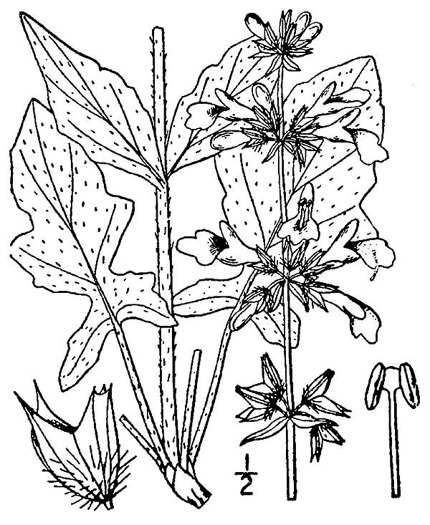 Stigma unequally two-cleft, exserted, per Vascular Flora of the Carolinas. 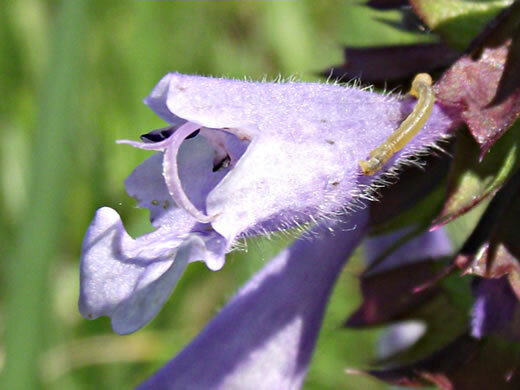 Calyx's upper lip is 3-toothed, lower 2-toothed; teeth are spine-tipped, per Vascular Flora of the Carolinas. 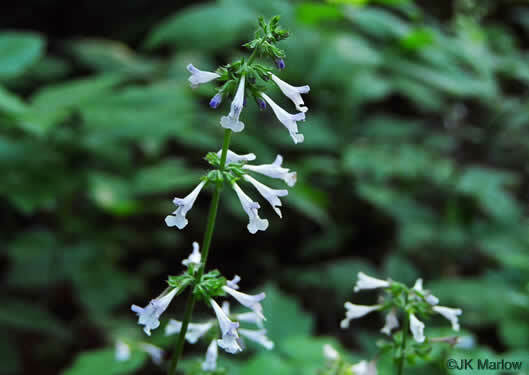 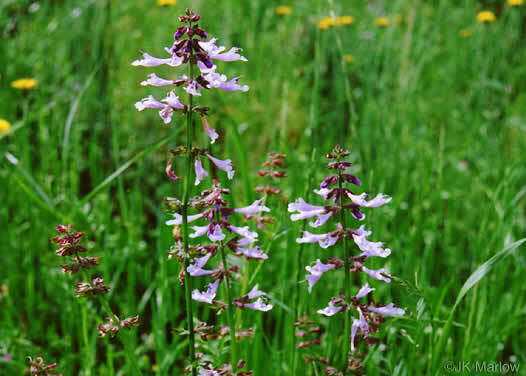 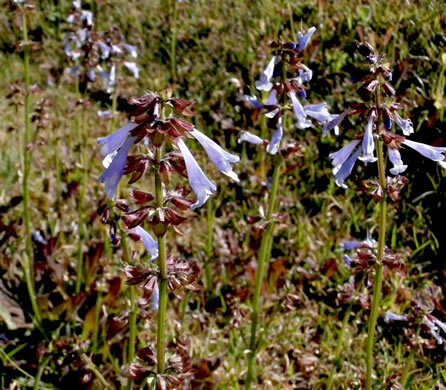 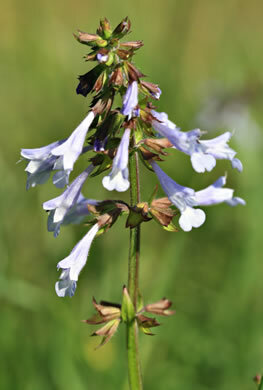 Flowers growing in few-flowered whorls in an interrupted spike, per Wildflowers of the Southern Mountains. 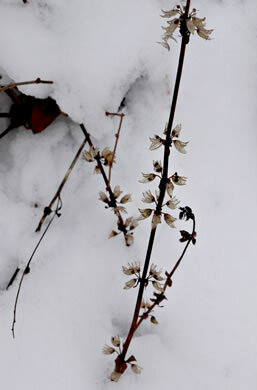 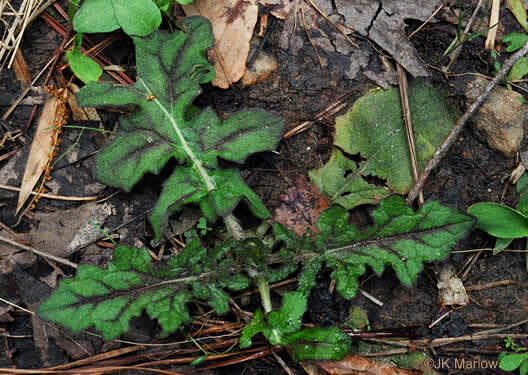 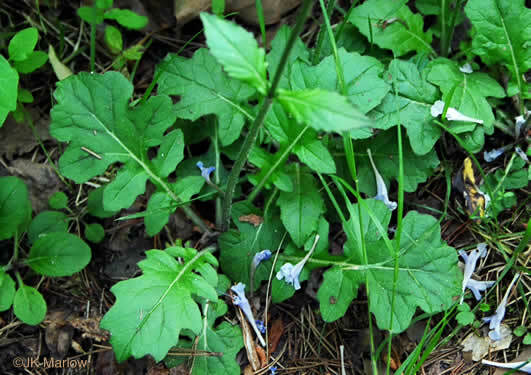 Basal leaves deeply lobed and long-stalked, forming a rosette, per Newcomb's Wildflower Guide. 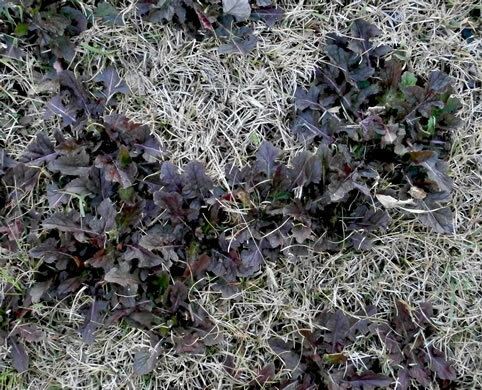 Mericarps dark brown, finely warted, dull, obovoid to ellipsoid, per Vascular Flora of the Carolinas.